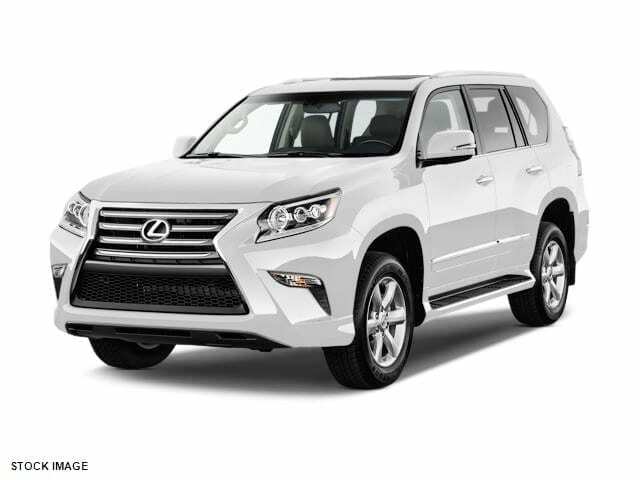 The 2017 Lexus GX 460 Premium is a seven-passenger vehicle, that features amenities that offer luxury, practicality, comfort all into one vehicle. From customizable climate controls to second-row captain’s chairs, the GX offers ways to make every seat the best seat. Help keep your cargo safely hidden with the retractable and easily removable cargo-area tonneau cover. A reclining, sliding, 60/40-split second-row seat features a 40/20/40-split seatback to accommodate various kinds of cargo. Personalize your comfort with 10-way power-adjustable driver’s and front passenger’s seats (including lumbar). And for added comfort, every seat has a height-adjustable headrest. This style of seating is standard for the Premium edition. Combining exquisite craftsmanship with exceptional comfort, the interior features a shift knob and steering wheel trimmed in hand-selected wood and leather. For added indulgence, the steering wheel also includes a heating element that continually monitors and adjusts the heating level to maintain a set temperature. The vehicle’s rear spoiler features an integrated wiper to help increase visibility through the rear window. The GX helps keeps you the driver in control. In fact, you can even customize the climate around you. Individual settings allow the driver and front passenger to adjust their preferred temperatures. And, to ensure the cabin stays as fresh as it is beautiful, a smog-sensing climate-control system automatically switches into recirculation mode if it senses high levels of pollutants outside. The Lexus Memory System feature allows multiple drivers to personalize and recall the settings for the driver’s seat (except lumbar), the outside mirrors and the steering wheel position. For added convenience, it also includes front passenger-seat memory functionality. Durable anti-slip running boards help you easily and safely enter your vehicle in style. They’re color-keyed to match your vehicle’s color.